ARRL Field Day - Contest, Picnic, or Open House? With nearly 500 logs submitted less than two days after the ARRL June VHF Contest ended, a few common issues have been noticed. For example, some participants are entering a grid square for the Cabrillo header's LOCATION: when an ARRL Section is required instead. There have also been a few logs with five-digit frequencies in the QSO: lines instead of the BAND as is specified for VHF QSOs. Make sure you review your Cabrillo-formatted log file before emailing it to the robot. Then check to be sure your log is shown properly in the Logs Received page for the contest. Ed N1UR reports that the Orange Drop line of film capacitors is alive and well! 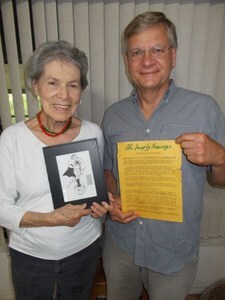 Ed's company, SBE Inc., sold the product line to CDE a couple of years ago. There may be some confusion in the distribution change due to the change in manufacturers, but Ed says, "Buy in confidence. 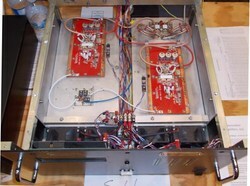 The parts are being made on the same equipment and with the same designs." Here's your new ARRL Contest Branch Manager, Matt Wilhelm W1MSW. An active contester, Matt starts on July 3rd just before the IARU HF Championship. Matt Wilhelm W1MSW will become the ARRL Contest Branch Manager beginning on July 3rd. An Extra Class license holder, active contester, and a member of the Yankee Clipper Contest Club, Wilhelm has been licensed since 2009. Matt became hooked on contesting after the first ARRL Rookie Roundup in April 2010. His expertise ­- and contest scores - have been increasing ever since. "I cannot tell you how happy I am to be the next ARRL Contest Branch Manager," Wilhelm said. "I'll be working hard to provide the high-quality support that contest participants have come to expect from the Contest Branch." 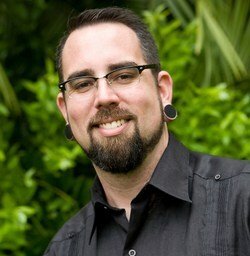 A native of eastern Texas, Wilhelm has an IT background in Help Desk operations and network security systems management. Wilhelm lives in Williamsburg, Massachusetts with his wife, Elizabeth, and their two-year-old daughter, Ruby. When not making contest QSOs, Matt enjoys mountain biking, home projects and enjoying time with his family. Recalling WRTC-1996 in which 1x 1 call signs were used for the first time in the United States, WRTC2014 teams will all use 1x1 calls from the USA first call area. Sixteen of the available 75 call signs will not be used, including the longest and shortest CW suffixes (J, Q, Y, and E) and H, a suffix frequently miscopied on CW. Note that the X suffixes are not available in this call sign series. Using this set of consistent call signs will make it easier for stations to find and work all of the WRTC stations. Following the tradition of previous WRTC events, teams will not know the call sign they will use until the referee hands them a sealed envelope just 15 minutes before the contest begins. This puts all teams at an equal starting point and helps maintain the anonymity of the teams. If you've seen any of the photos or videos of the WRTC2014 preparation - the event is only three weeks away! - you know there is a lot to manage. Who are the people in charge? A busy guy lately, AD1C has also updated the Country (CTY) Files, effective June 4th. For installation instructions, hover your mouse cursor over the word Contest in the menu, then select then software you are using. To install the file, follow the link to your software at the top of the page. A bigger CTY.DAT file for everyday logging is also available. The blog of K1DG on the EDN website, "A Ham's Eye View," explains the Dayton Hamvention to an engineering audience. Attendance at Dayton was up a bit this year, despite predictions of bad weather, reaching nearly 25,000. The Hamvention has been held every year since 1952! 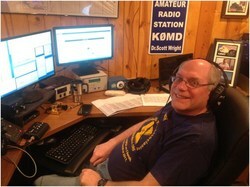 Todd KC9BQA reports, "I've made a number of updates to www.kc9bqa.com over the past week. The new updates start on June 7th, and they are all on the "front page"." Todd's goal for the website is to help get more VHF'ers on the air. Pelican prevails again! According to the Popular Mechanics June 2014 issue's "Abusive Lab Test" for Pelican, Yeti, and Yukon coolers, the popular Pelicans proved particularly potent in protecting precious potations. Not only will they carry your radio, they can keep it cool, too! Web Site of the Week - While the IBM PC kicked the personal computing revolution into high gear, it was the Apple II that launched it. The Apple II went on sale on June 5, 1977, and things were never the same again. Looking for a local Field Day or maybe you're traveling and would like to stop in and meet some local hams? Check out the ARRL Field Day Locator website where clubs or individuals provide their locations. The K8CX Dayton 2014 Gallery is now up with close to 4,100 Dayton photos, making this the 18th year that Tom has taken the photos. The site has Dayton photos in The Gallery back to 1971. If you have any old photos from Dayton, please send them to K8CX. 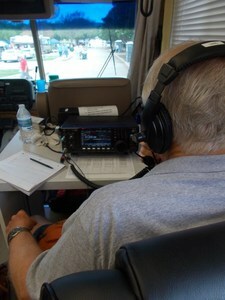 ARRL Field Day 2011 in South Louisiana is well-presented in this snazzy video with great credits! How about making one of your club's adventures this year? Summertime propagation (or wintertime, if you are south of the Equator) has a variety of unique qualities. That band plan you made for CQ WW last fall - start over for the IARU HF Championship! This would be a good time to talk to veteran contesters in your club about the primary DX openings in your area. You may be surprised but better before the contest than afterward. 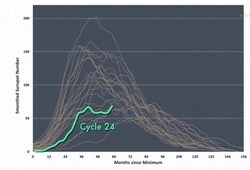 Cycle 24's progress and future are of considerable interest lately. 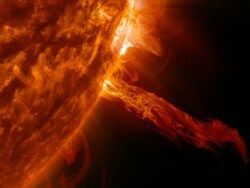 Ted K8HI sent a fascinating video and article about renewed activity at the peak of the current solar cycle. If you are interested in learning the details of radio propagation, space weather, and solar phenomena, one of ham radio's propagation gurus, Tomas NW7US, is offering a self-paced course that is bundled with the ray-tracing PropLab Pro software at a bundled discount. This is a good summertime project to ramp up your propagation know-how for less than the cost of a new beam! Do-It-Yourself satellites - an amazing concept? Not to radio amateurs who have been launching DIY birds since OSCAR 1 in 1961! Nevertheless, the Ardusats make a fascinating story and highlights ham radio, perhaps introducing a new generation of builders and makers to our fascinating realm. Aside from a few cookbook-style articles in handbooks and circuit manuals, voltage multipliers are usually just an afterthought in the power supply assembly. EDN ran a recent story detailing the interesting Cockroft-Walton voltage multiplying ladder. These are used not only to get a little more oomph for vacuum tube amplifiers but to produce the super-high voltages needed to generate beams of ionized material for particle accelerators. It turns out that not only can meteors create trails that reflect radio waves - they can emit radio waves, too! This Slashdot discussion links to the original article as well as offering up the usual potpourri of insight, explanation, and snarky techno humor. The Mt Airy VHF Radio Club, aka "The Packrats", published their June 2014 newsletter, "Cheese Bits" with a nice article by NE3I about building small antennas for restricted housing. Good ideas for portable and temporary stations, too! New RF instrumentation is moving beyond the traditional button-and-dial-laden front panel to rely more on a companion PC for control and data storage. Learn about the latest gadgets (that will eventually become surplus and show up on our workbenches) in this EDN story. Tower maven, Don K4ZA, wrote in with an alternate method to the previous issue's description of lifting a tower's top section with mast included as a single assembly with a low center of gravity (CG). This doesn't suit every installation but might work for you - practice these more sophisticated "lifts" near the ground to see and to learn the technique before you're aloft! 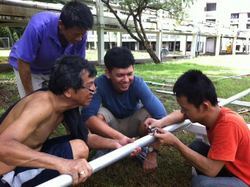 "Secure the mast in the tower section, using the rotator if the mast is short (only one antenna goes on). If it's a long mast, then leave the rotator out, slide the mast inside the tower section so that its top (where the top-most antenna of your stack will be mounted) extends just above the tower top. Whether short or long, insert a suitably-sized lift rope THROUGH the mast to haul up the load. Tie a knot in the rope's lower end with a large washer above that knot, resting against the lower mast end. If you are using the rotator to hold the mast, you'll have to leave room for the knot between the mast and rotator housing. Without the rotator, secure the mast by muffler clamps inside the tower section. This will keep the CG low and the load riding plumb while hauling everything up. Use a come-along to maneuver a long mast up and through the top of the tower section. Once supported by the come-along, untie the knot, and lift out the rope before lifting the mast into its final position and you won't have to climb the mast." I particularly enjoyed the Popular Mechanics June issue's article, "Why We Fix" by Kyle Wiens. As the author says, "Making something whole again expresses what it means to be human: a demonstration of our capacity to be resourceful, meet challenges, and solve problems." Game on! The new book Ten Essential Skills for Electrical Engineers by Barry Dorr is a good guide for ham radio operators, too. Even if we don't dive quite as deep as the EE folks do, having a rudimentary knowledge of these subjects makes for a more well-rounded ham. Technical Web Site of the Week - Hams and students often balk at hands-on experiences with microwave technology. It looks, feels, and behaves quite differently than RF at longer wavelengths. But with the right equipment and the right instructions, it's not so hard after all! You can begin to learn to think like a microwave by performing experiments with pre-packaged pieces and elements such as these kits being developed by Eductika that were featured at the recent IEEE International Microwave Symposium. While these kits assume a certain amount of technical infrastructure common at the university level, it's easy to see how hams could share expertise and equipment to create something similar. How about it microwave mavens? I recently received a forwarded email adapting into ham-speak the famous "Specialization is for insects" quote from Robert Heinlein's Time Enough for Love. Like the famous Lazarus Long, hams have long exhibited a certain flexibility and practicality at all levels of license. Of course, the goal of such lists should be to encourage the acquisition of these many skills and not be just another way of looking down our collective noses in order to feel superior. But I digress. What developing this useful and effective can-do attitude does accomplish is take the beginner on a life-long journey through many different environments in the biosphere of Amateur Radio. We may enter through a particular door but the party inside is enormous! Frequency ranges that cover six orders of magnitude. Propagation that involves everything from dirt to extraterrestrial objects. Means of communication by modes Faraday would recognize as well as sophisticated codes that cleanly retrieve information buried tens of decibels below the noise. Technologies ranging from the inclined plane to quantum mechanics. All free for the taking. How do we tell this story? One opportunity is nearly upon us - Field Day! There is no other event quite like it where everybody brings their "piece" to assemble into the group station. Not only new hams learn about ham radio but so does the public - if we let them. This is one reason for so many Field Day bonus points that involve publicity and public access. With the potential of such a Field Day publicity bonanza, it's worth a little extra effort to make the most of our availability. Start by looking at your public notices. First, be sure to register your club's activities on the ARRL Field Day Locator service. You never know who will take an interest after a little Internet searching. They won't come if they don't know where you are! Next, what kind of encouragement are you giving for a non-ham to overcome their natural reluctance to pester strangers? It's not enough to put up a sandwich sign that says, "Ham Radio Field Day". Remember, they have no idea what a "Field Day" is! (Hard to imagine, I know...) How about instead, we capitalize on our many-faceted world and call it instead, "Ham Radio Open House"? Most folks understand that on two levels: first, you're inviting them in, and second, there is something to see. It might also help to advertise "Free Cookies" or the like - you'll have kids dragging their parents in by the heels to see the show. And folks, try to look like you're glad to see visitors! Have a "greeter" assigned to show visitors around and explain what's going on. Strangers will rarely walk up and stick their noses into another group's activities - reach out to them and bring them in. Don't set up what looks like a "defensive perimeter" of fencing and canvas and cars. Sure, rope off the antennas and generators, but set up camp so that it looks like an open house and not a fortress to keep people out. How can you avoid this type of turn-off? Ask a non-ham for their objective opinion about it. Then listen - you might be surprised! Once a year, we all put on our show at the same time. There's no reason to wait for Field Day, though. Take the opportunity to put up a portable station at the mall, at playfields, at local festivals, wherever the public will be. Welcome them in - our people are out there!